Scientists have found a way to "read" dreams, a study suggests. People have been trying to understand dreams since ancient Egyptian times, but the researchers who have carried out this study have found a more direct way to tap into our nighttime visions. The team used MRI scans to monitor three people as they slept. During the next round of sleep tests, by monitoring the brain scans the researchers could tell what the volunteers were seeing in their dreams. They were able to assess which broad category the images were in with 60% accuracy. "We were able to reveal dream content from brain activity during sleep, which was consistent with the subjects' verbal reports," explained Professor Kamitani. However, he added that a single dream-reading system would not work for everyone. "All of this would have to be done within individual subjects. So you would never be able build a general classifier that could read anybody's dreams. 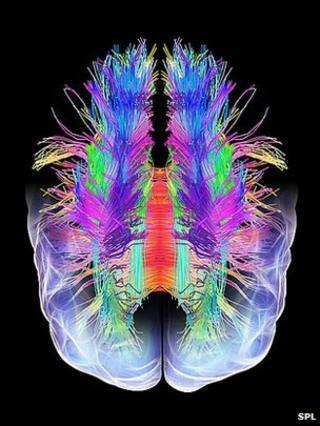 They will all be idiosyncratic to the individual, so the brain activity will never be general across subjects," he said. "You would never be able to build something that could read other peoples thoughts without them knowing about it, for example." Can you control what you dream?